You might be thinking that when WhatsApp web has been launched by the company, then what is the problem. We have been using the same account on two different devices, but you need to keep your cell phone connected to the internet while using WhatsApp web. Using the same WhatsApp number on two phones need some special apps. It cannot be achieved without them. People are searching same WhatsApp account on two or more phones without WhatsApp Web or rooting. Having dual sim in the same phone does not imply that you can use the same account on two numbers. Verification and the activation of one number to several phone numbers or phones are not possible, as clarified by the Officials. Parallel Space multi-accounts app or rooting the devices are the techniques of using two WhatsApp numbers on the same IOS or Android-based smartphones. WhatsApp web version and WhatsApp Desktop app for Mac OS and Windows PC are the two methods to run one WhatsApp account on two or more phones. The web version of the messaging app does work with any of the browser, i.e. Mozilla Firefox or Google Chrome or any other option which renders the desktop environment on mobiles. If you would follow this way out to solve your problem of using use one Whatsapp account on two devices, then you don’t need to root your phone or jailbreak your iPod Touch/ iPad/ iPhone based on iOS. It is one of the ways to use the second instance of WhatsApp on another device. What do you need to take care while using WhatsApp web version? You need to make sure that you have an active WhatsApp account on Android/ iOS first gadget. 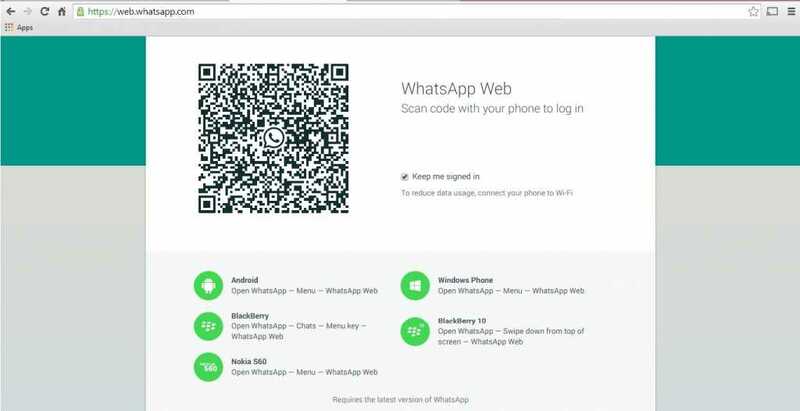 On the other device, open any browser which has Request Desktop version and opens WhatsApp web on it. For using the same WhatsApp account on two phones, you need to enable the Request Desktop Site. The next step is to scan the QR code on the page. If you face any problem in scanning the QR code, then open the page in the different browser. Error 5xxx server error is the reason which denies the access to the page. Verifying the second device from the first device is mandatory. What you need to do now is to go to chats tab, open menu section on the right corner of the screen at the top and select WhatsApp web option. Taping on the ‘+’ sign would add new WhatsApp web account. Its simplest way to Use One WhatsApp Account On Two Devices. Titanium Backup is the app which will let you use same WhatsApp account on two devices. It is a rooting application. You need to install WhatsApp in the device and set up it. Install it. Open WhatsApp in the app by granting permission to it. Click on backup. Three files are attached to the app. No, you are neither supposed to open them nor modify them. Transfer these files into your second device. Now download titanium backup in your other mobile phone, launch it. Grant the superuser permissions. Click on WhatsApp in Titanium Backup. Click on app and data. You are all set to Use One WhatsApp Account On Two Devices. Chats won’t be synced. It is the only downside of the method. These were the two easy and quick ways to use the same WhatsApp number on two devices. If the content has worked for you, please like it and subscribe.